There’s so much that people say is oh-so-hard about having a baby. Recovering from carrying a fetus for nine months. Breastfeeding. Not sleeping. Leaving the house. Trying to do everything you knew and loved in the past. But we would do our research. We would make alterations. We would be prepared. And, we would continue to see the world. I hated hearing all of this negativity. Having a kid is like a lot of other things in life. There are some things that are easy and some things that are more challenging, and you work through it or you get support, and you figure it out. And by the way, breastfeeding wasn’t hard for me. True story. I was sick and tired of all of these naysayers and I knew that my husband and I would continue traveling. Sure, it would be different. But we would do our research. We would make alterations. We would be prepared. And, we would continue to see the world. 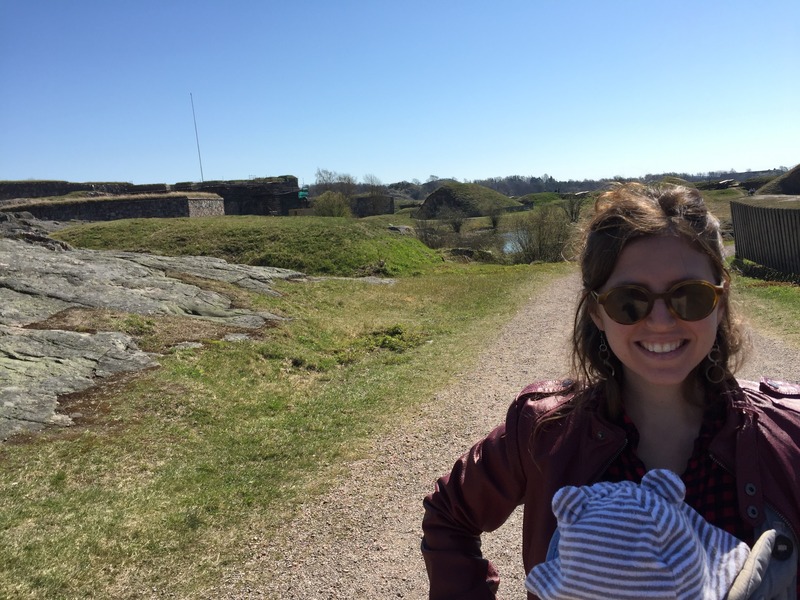 Four months into my little one’s life, we traveled to Finland and Estonia. Unfortunately for him, he slept the whole time. But my husband and me? We had a blast. And it wasn’t hard at all. We booked an Airbnb with a Pack N’ Play in the center of Helsinki. We took breastfeeding breaks. We changed his diaper on the go. We encouraged naps in the carrier. But then my boy turned 1 and we were ready for a bigger adventure. I mean, Europe is awesome. But it was time for Latin America. Now, my husband and I traveled to Panama for our honeymoon and, because we drank the water in a small town, we spent almost half of it throwing up. So, we knew the stakes were higher. But we could do it! So began my research for our upcoming trip to Chile. Is the water safe to drink? If not, how should we bathe our boy, who loves to put anything and everything in his mouth these days? Is pasteurized whole milk readily available? Is it better to rely on a stroller or carrier outside of the main cities? Would it be appropriate to bring a toddler to Patagonia? As long as we share our experiences, empowering each other to travel safely with our little ones, we can continue to see the world. Well, it turns out, my trusty Google couldn’t find most of this information. So, I began reaching out to friends and friends of friends and Facebook friends of friends of friends. Which is why I created Little One Travel. Because I’m not done traveling yet. And there’s no reason to be. As long as we share our experiences, empowering each other to travel safely with our little ones, we can continue to see the world. Inspired! Now all we need are the vacation days!